Conflicts between faculty and administration have become particularly virulent and disruptive in recent years, as institutions have struggled to adapt to intensifying pressures for efficiency and accountability. 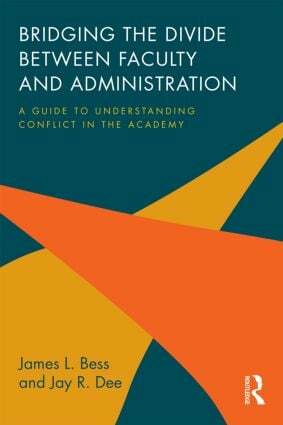 Analyzing common sources of conflict and challenges on campus that impede attempts to address these conflicts, Bridging the Divide between Faculty and Administration provides a theory-driven and research-based approach for authentic discourse between faculty and administration. This important resource presents a wealth of strategies for improving communication in colleges and universities, ultimately enhancing organizational effectiveness and institutional performance. End-of-chapter "Implications for Practice" provide practical tips and advice for faculty and administrators to use in their own contexts. Analysis of actual conflicts based on extensive interviews with administrators and faculty across a variety of college and university settings. Exploration of creative ways for faculty and administrators to work across differences in their belief systems and to address the underlying sources of conflict.